I am Tom's total sense of befuddlement. 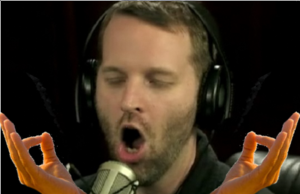 Known For Hosting every podcast ever made, and his unparalleled professionalism. Podcasts DTNS, Cordkillers, Sword and Laser, and more! Tom doing his daily meditating exercise on TNT. The penalty is APP CAP! "And now, my contractually-obligated booze." Thomas Andrew "Tom" Merritt (born June 28, 1970 in Greenville, Illinois) is the co-host of Cordkillers and his own experimental news show Daily Tech News Show, along with Sword and Laser and the 2014 re-launch of Current Geek. Born in Illinois, Tom's father worked on the Coffee-Mate project as a food scientist. Tom received a BS in journalism from the University of Illinois at Urbana-Champaign and pursued graduate work in communications at the University of Texas at Austin. Tom is married to Eileen Rivera, a former producer for Revision3, TWiT, and CNET who is now at YouTube. They live in the Los Angeles, California with their dogs Jango and Sawyer. He is a fan of the St. Louis Cardinals. Tom is 6'1" tall as of November 1, 2012. Tom's foray into the world of radio began in 1986 as a DJ for WGEL, a country music station located in Greenville, Illinois. In 1993, Tom worked as an intern for National Public Radio's "Morning Edition". From 1999 to 2004 Tom worked for TechTV in San Francisco as an Executive Web Producer and served as a radio host with TechTV until 2003. Tom started with CNET in 2004. He was an Executive Editor for CNET and the developer and co-host of the daily podcast Buzz Out Loud along with Jason Howell, Molly Wood, and a rotating panel. He was the author of CNET's "The Real Deal", a regular column & podcast (co-hosted with Rafe Needleman) dealing with consumer technology. He also co-hosted the tech support call-in program CNET Live with fellow editor Brian Cooley, and is also the host of CNET Top 5. In April 2010, it was announced that Tom would be leaving CNET and joining the TWiT Network full time. His final day at CNET was May 14, 2010 upon which he started growing a beard. 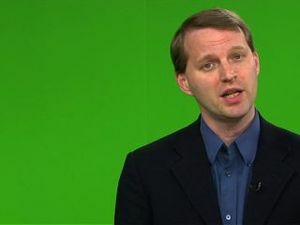 He began hosting Tech News Today on June 1, 2010. The next week Tom started doing beta episodes of Frame Rate on June 8, 2010, which would stay in a developmental state until officially premiering on November 9, 2010. In concurrence to these, he also hosted Tom's Top 5 on Revision3. Prior to the August 2, 2010 recording of Tech News Today, Tom revealed to the live audience that Tom Merritt is, in fact, his stage name. His real name is Barry McGillicutty. At Dragon*Con 2011, he got together with Justin Robert Young and they came up with the idea for a podcast about a fantasy/sci-fi based sports league consisting of teams and players from popular TV, Movie and Book series. This idea turned into the FSL Tonight podcast that he and Justin began in late 2011. 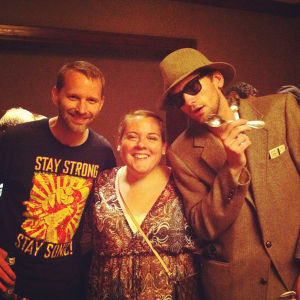 As a finale to the second season of FSL Tonight, they recorded a live episode at Dragon*Con 2012. 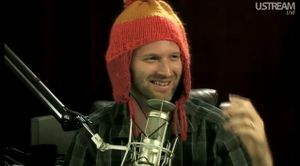 In December of 2013, his contract with TWiT was not renewed, effectively ending his regular hosting duties at the network. In 2014 Tom turned to a direct fan-funding model, made possible through the popularization of services like Patreon. Through this he started hosting Daily Tech News Show and Cordkillers. Tom's daily news show: each show delivers the essential headlines in tech news that day combined with analysis from top names in technology. Tom and Brian discuss how you can watch what you want, when you want, where you want, and on whatever device you please. Tom and Scott Johnson cover the most interesting geeky stories with great guests and YOU! Tom and Veronica host a science fiction and fantasy-themed book club. Tom and Justin breakdown the latest developments in the FSL league. The fact Tom might be a commie is less disturbing than the rest of this photo. Look at his horse! His horse is amazing! It may in fact be a moth. People sometimes mistake Old John Smokey as Tom. Tom does not know how to play the spoons. Tom is the grand master of the segue, and an avid hat collector. The gag of mispronouncing Tom's name started with the announcement sent out asking for nominations for the first GTFO Awards. Tom was accused of being a communist in Play Them Off Keyboard Communist. Tom has been a guest at Dragon*Con multiple times. 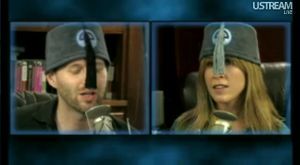 In his final Buzz Out Loud episode as a host, Veronica Belmont told a story about going to Dragon*Con with him when she learned that he is a very cautious driver. Tom left another panel early so that he could make an appearance at the end of Dragon*Con: Con of a Dragon. 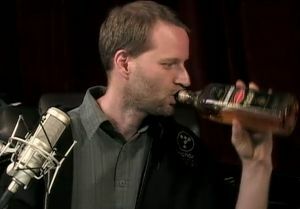 Tom sometimes brings his dog Jango to the TWiT Cottage. You might think that Tom has never acted as a doctor on television, but YouTube has proof. Tom was named Pipe Smoker of the Year in 2011. Tom has numerous cover bands. Tom's kryptonite is generic morning zoo voices. After he announced that he is moving to Los Angeles, Justin gave him the nickname "Fast-talkin', Gum-snappin, 'Hollywood' Tom Merritt"
This page was last modified on 6 May 2014, at 23:21. This page has been accessed 46,268 times.